Titian’s works are often seen as embodying the famous tradition of Venetian Renaissance painting. But how ‘Venetian’ was Titian, and can his unique works be taken as truly representative of his adoptive city? This comprehensive new study, covering Titian’s long career and varied output, highlights the tensions between the individualism of his work and the conservative mores of Venice. Titian and the End of the Venetian Renaissance argues that Titian’s works were self-consciously original, freely and intentionally undermining the traditional, more modest approach to painting in Venice – a position that frequently caused disputes with local artists and patrons. This book charts Titian’s early stylistic independence from his master Giovanni Bellini, his radical innovations to the classical altarpiece and his meteoric break from the normal conﬁnes of Venice’s artistic culture. Titian competitively cultivated a professional identity and his dynamic career was epitomized by the development of his ‘late style’, which set him apart from all predecessors and was intended to defy emulation by any followers. It was through this ﬁnal individualistic departure that Titian effectively brought the Renaissance tradition of painting to an end. This ground-breaking interpretation will be of interest to all scholars and students of Renaissance and Venetian art history. To download some sample pages from Titian please click here. 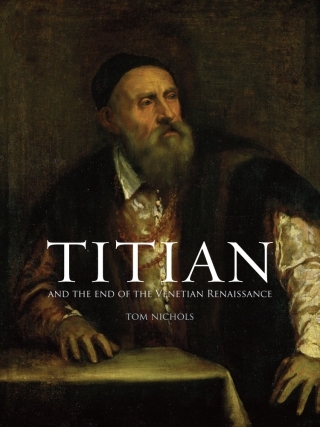 Tom Nichols is Reader in History of Art at the University of Glasgow and author of books including Tintoretto: Tradition and Identity (Reaktion, 1999), The Art of Poverty (2007), Renaissance Art (2010) and Titan and the End of the Venetian Renaissance (Reaktion, 2013).